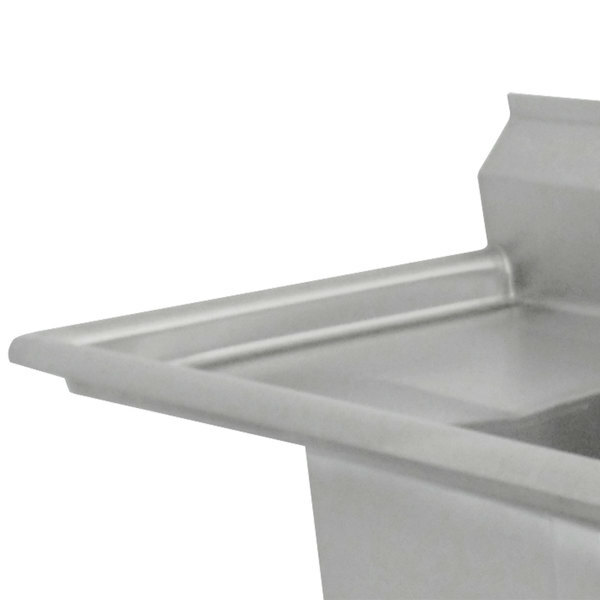 Made of heavy duty 14 gauge, 304 series stainless steel, this rugged Advance Tabco FS-3-2424-24 Spec Line fabricated three compartment pot sink with drainboard is built with the demands of the busiest commercial kitchens in mind. 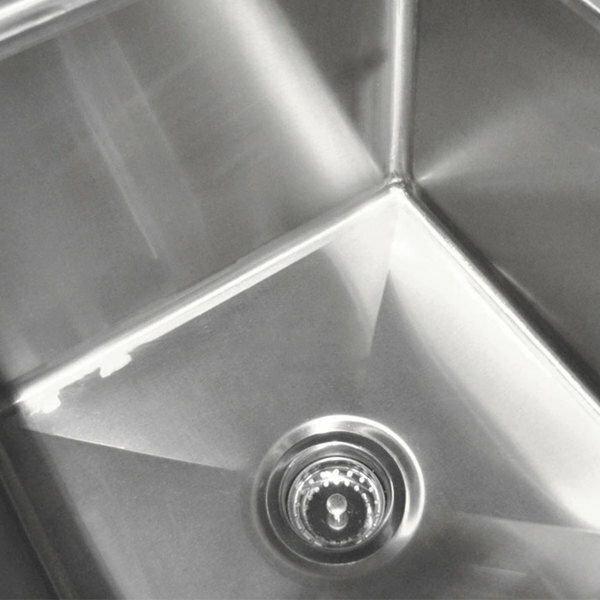 The Advance Tabco FS-3-2424-24 Spec Line Spec Line fabricated three compartment pot sink features a continuous apron design, which provides an added level of protection for its three individual 24" x 24" compartments. 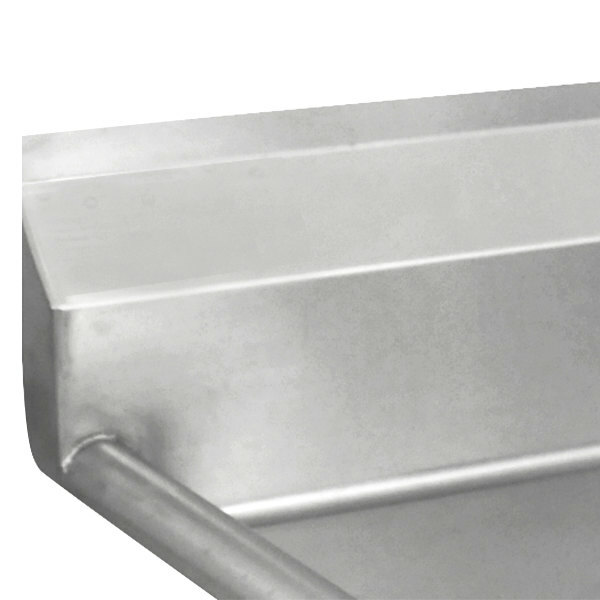 A 24" drainboard provides additional space for stacking pots, pans, or dinnerware. 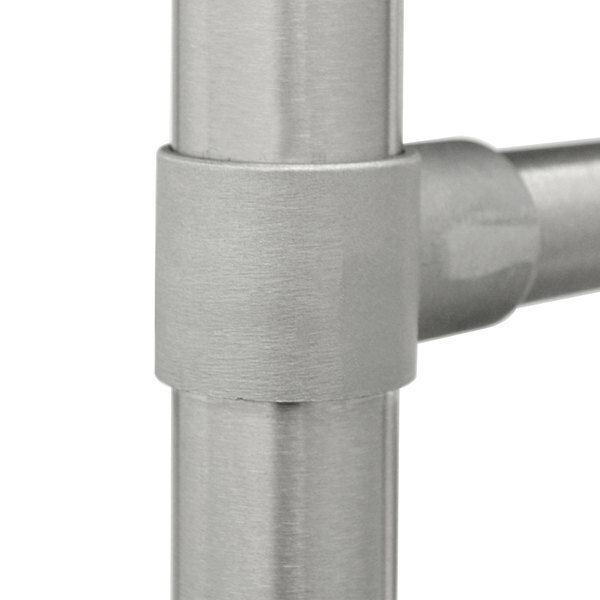 Two sets of faucet holes set on 8" centers are pre-drilled into the three compartment pot sink's 8 1/2" high backsplash, so you can easily install two faucets of your choice. For exceptional stability, the Advance Tabco FS-3-2424-24 Spec Line fabricated three compartment pot sink stands on durable 1 5/8" diameter stainless steel legs, with matching adjustable bullet feet. 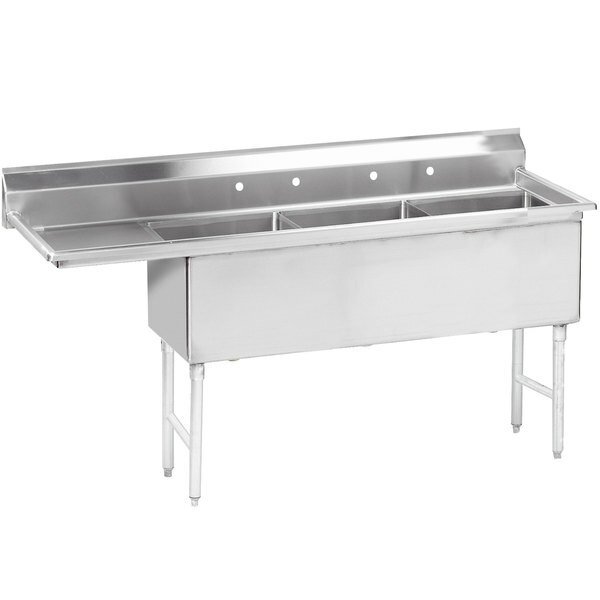 Left to Right: 98 1/2"
Advance Tabco K7-3-3030-24RL 16 Gauge Three Compartment Stainless Steel Super Size Sink with Two Drainboards - 138"
Eagle Group 314-18-3-18 Three Compartment Stainless Steel Commercial Sink with Two Drainboards - 96"
Advance Tabco FS-3-1824-18RL Spec Line Fabricated Three Compartment Pot Sink with Two Drainboards - 90"
Eagle Group 314-16-3 Three Compartment Stainless Steel Commercial Sink without Drainboards - 58 3/4"
Eagle Group 314-24-3-18 Three Compartment Stainless Steel Commercial Sink with Two Drainboards - 114"